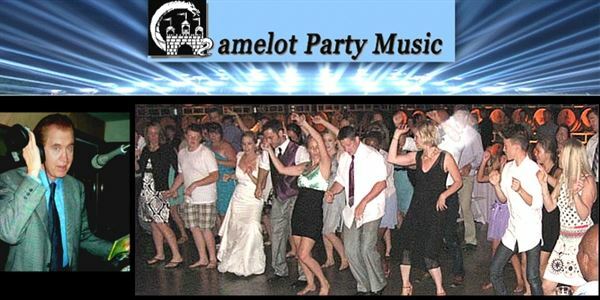 Camelot Party Music – DJ Skip – All types of music for Weddings formal to casual. Providing professional services for over 20 years in the Bay area. * My service includes discussions and decisions about wedding events and music plus some lights such as crystal ball effect and some flashing colored lights if appropriate and of course all the Music plus MC-ing and Experience. * I am computerized and have the Latest hits ...New and Old plus your Requests. Let me email to you attached files of the music in general and by decade. I receive the latest Hits every month for your dancing or background dinner music. Previous to your wedding I will spend the necessary time with you to work on your Itinerary: discussing the important details of announcing the events such as the first dance, parents dance, bridal party, guest dance music, cake cutting and then to the final song.